Worthy of special consideration and honor are those Christians who, following more than closely the footsteps and teachings of the Lord Jesus, have voluntarily and freely offered their life for others and persevered with this determination unto death. 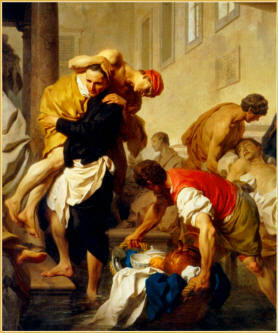 Certainly, the heroic offering of life [heroica vitae oblatio], inspired and sustained by charity, expresses a true, complete and exemplary imitation of Christ, and thus is deserving of that admiration that the community of faithful customarily reserves to those who have voluntarily accepted the martyrdom of blood or have exercised Christian virtues to a heroic degree. The offer of life [vitae oblatio] is a new cause for the beatification and canonization procedure, distinct from the causes based on martyrdom and on the heroism of virtues. The celebration of the diocesan or eparchial Inquest and the relative Positio are regulated by the Apostolic Constitution Divinus perfectionis Magister of 25 January 1983, in Acta Apostolicae Sedis Vol . LXXV (1983, 349-355), and by the Normae servandae in inquisitionibus ab Episcopis facendis in Causis Sanctorum of 7 February of the same year, in Acta Apostolicae Sedis Vol. LXXV (1983, 396-403), except as follows. The Positio on the offer of life must respond to the dubium: An constet de heroica oblatione vitae usque ad mortem propter caritatem necnon de virtutibus christianis, saltem in gradu ordinario, in casu et ad effectum de quo agitur [Whether the offer of life unto death for reason of charity, as well as at least the ordinary exercise of Christian virtues, is demonstrated in the cause and for the ends concerned]. Given at Rome, at St. Peter’s, on 11 July 2017, fifth year of my Pontificate.